Do you have a ring or circle in your St. Augustine? 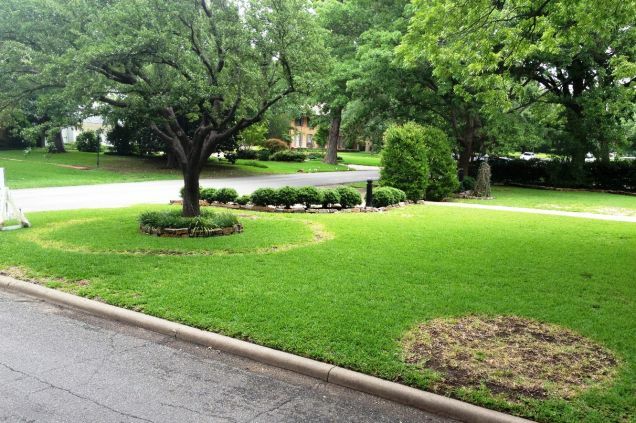 At first glance, you might be thinking UFO landing sites…but more likely it’s a fairy ring. This phenomenon is caused by a fungus and it can damage your turf. Areas previously covered with trees or fill which contained stumps or logs are prime candidates for development of fairy rings. The fungus decomposes organic matter in the soil that is provided by old stumps and thatch. The fungus grows from a small point and then slowly enlarges until it’s a circle or semi-circle.